Move-in-Ready Centrally Located Condo! Fresh New Paint, New Carpet TOO! Energy Efficient AC recently installed 9/2016. This home has a spacious Living Room that opens to a private partially covered courtyard. 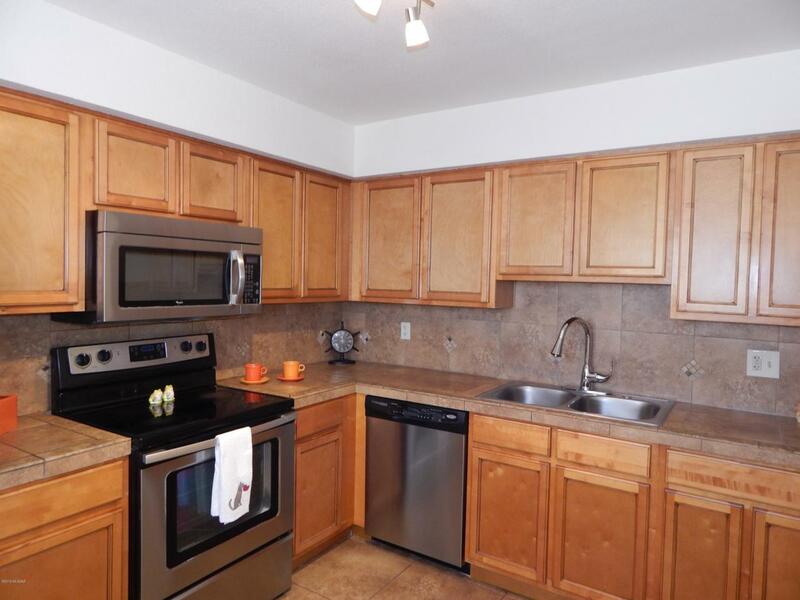 Kitchen features lots of cabinets and all the appliances are provided (Fridge, Oven, Microwave/Range and Dishwasher). Both bedrooms are nicely sized and the Master bedroom has a private deck off of it. Washer/Dryer are also provided, but are not hooked up and sells AS-IS. This condo also comes with two private parking spaces; one carport spot and one uncovered spot next to back entrance. Guest parking spots are also plentiful. Complex has a beautiful gated community pool area with hot tub and gas grills!